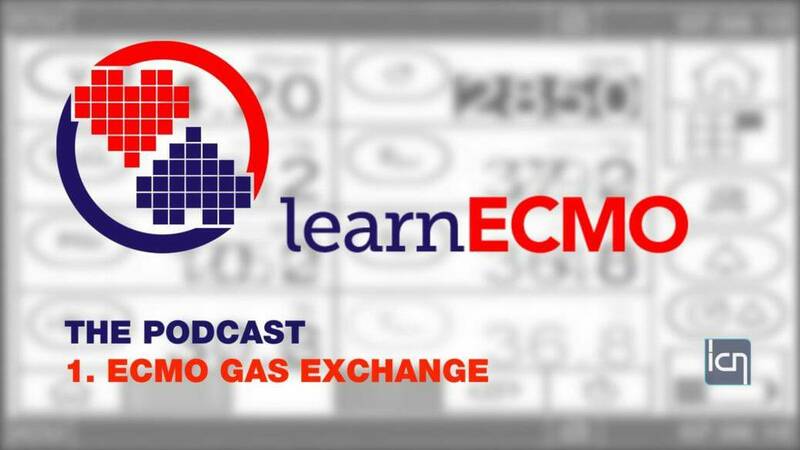 This is the first in a series of ECMO podcast from the LearnECMO team – starting with the physiology of ECMO gas exchange. Watch out for more in this series. The learnECMO collaboration is up and running having completed the inaugural ECMObasic course at Royal North Shore Hospital, thanks to some indefatigable work from Pete McCanny, Sean Scott, Elliot Williams and the rest of the learnECMO team. Check out the website for multimedia updates from the course. There are 3 more ECMObasic courses running in November, 2 of which are already sold out. Places are still available for November 2nd. ECMObasic is the perfect primer for more advanced courses such as ECMOresuscitate coming in 2017. There are also places for the ECMOcannulate course on 5th November where you can really thrash out all the technical ergonomics for inserting ECMO cannulae. The FOAMed content generation has also begun in earnest, with the first of many ECMO podcasts brought to you via Intensive Care Network. We have kicked off with ECMO physiology as a two parter, with ECMO gas exchange up first followed by ECMO haemodynamics in the coming weeks. It is our intention to build the FOAMed platform by invitation to ECMO experts worldwide to contribute content in a range of formats including articles, videos and podcasts. When operating at the leading edge of organ support, it is essential to share institutional experience and expertise to vitalise debate and galvanize educational advancement of best practice in the field. If you’re an ECMO enthusiast/expert and have an educational contribution that needs a platform, get in touch, we would love to hear from you. Find us on twitter @learnECMO and check out learnECMO.com to register for courses and keep up to date with new FOAMed content.